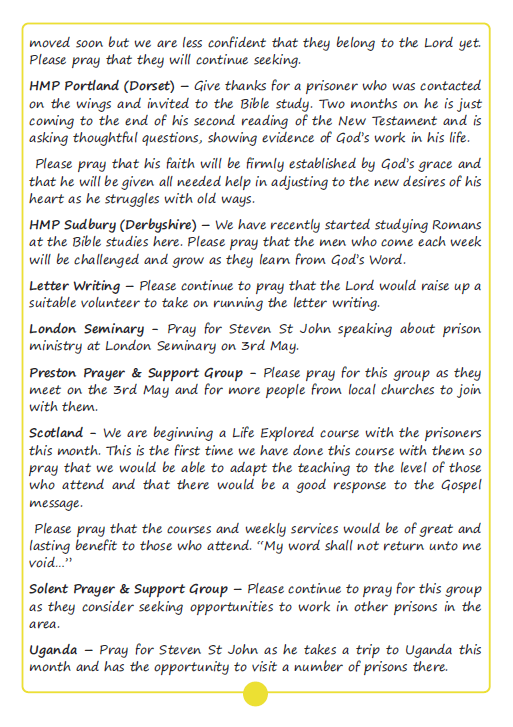 Below is our May Newsletter. 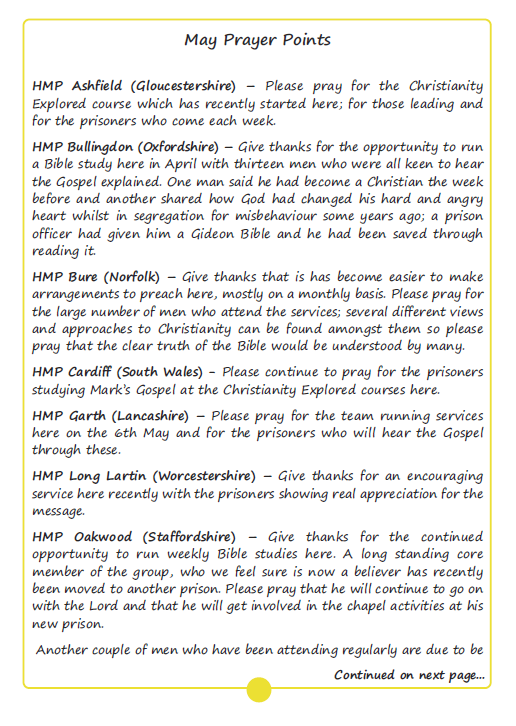 This month we look at encouragements from Bible studies and share something of prisoners who have recently been given Bibles and other literature. 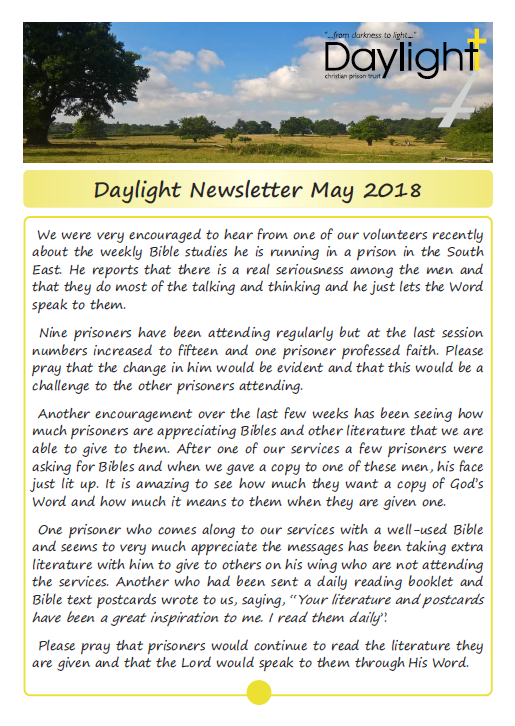 Following our conference at the end of last year, we have recently started putting short video clips from the day on our website and social media each week. 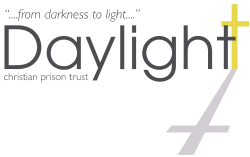 If you would like to see a number of Daylight people speaking about various aspects of the work, they are available to view at https://bit.ly/2GzbSme.